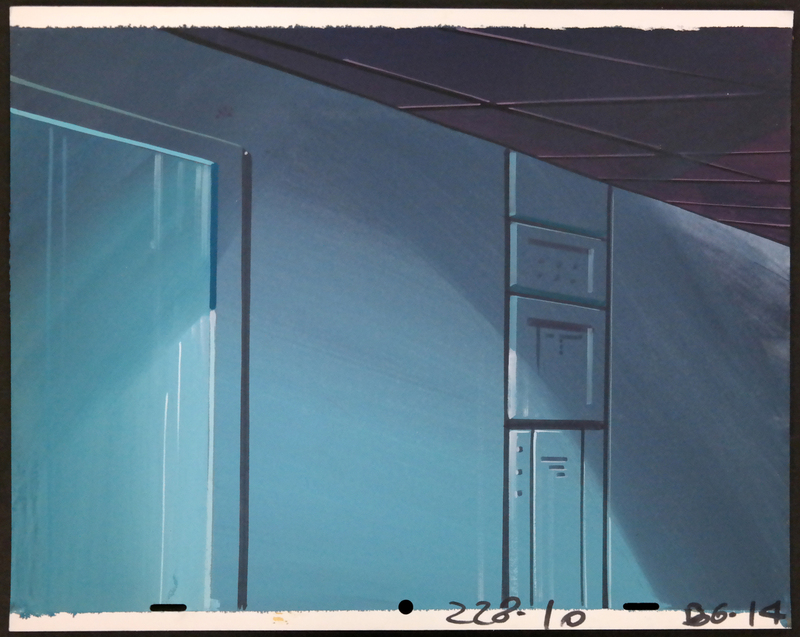 This is an original hand-painted background from the Hanna Barbera animated series, Space Stars. The image was created and used during the production of an Astro and the Space Mutts segment of an episode. The background measures 10.5" x 13.5" overall with an image that measures about 9.5" x 13" .